The Super7 Snakes of Infinity army continues to grow with FHP Mongolions by the one and only L'Amour Supreme! Two of L'Amour's stunning handpainted Mongolions were reproduced by factory artisans in a small run, available this weekend. 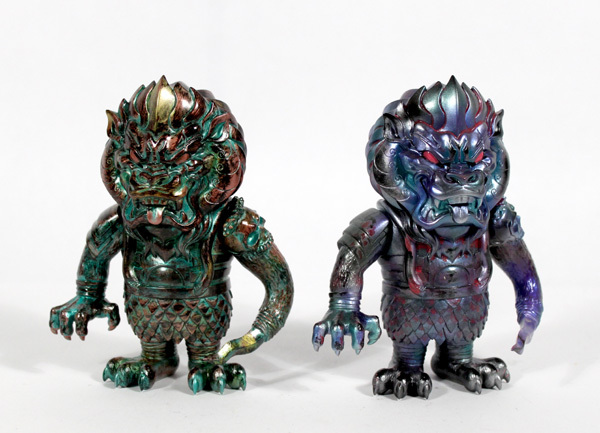 The FHP Mongolion is produced in two colorways, each based on a one-off by L'Amour Supreme. Offered for sale at $90 each, blind bagged, Saturday January 23rd, 11am Pacific. Ordering two figures guarantees a set, while supplies last.